Unprecedented images of a Type Ia supernova, from the moment of explosion through the rise and fall of the light curve, show an unexpected early rise in brightness. The supernova—known as SN 2018oh—is located in a spiral galaxy called UGC 4780 in the constellation Cancer at a distance of more than 170 million light years. An exploding star in another galaxy has been documented with unprecedented precision thanks to the Kepler Space Telescope’s K2 Supernova Cosmology Experiment, one of the telescope’s final missions before running out of fuel late last month. Kepler’s observations of the supernova known as SN 2018oh showed an unexpected fast rise in brightness that may be an important clue to understanding the progenitors of Type Ia supernovae, which cosmologists use to study the expansion of the universe and dark energy. An international team led by astronomers at the University of California, Santa Cruz, conducted an analysis of SN 2018oh focusing on the first week after the explosion. Their paper, accepted for publication in Astrophysical Journal Letters, is one of a series of papers analyzing SN 2018oh. “The observations are exquisite, because we have images from Kepler every 30 minutes, starting from before the explosion all the way past its peak brightness. And it’s scientifically interesting because the increase in brightness deviates from the expected behavior,” said Ryan Foley, assistant professor of astronomy and astrophysics at UC Santa Cruz. 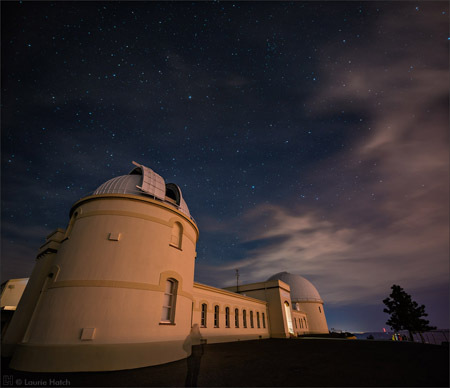 The supernova was also extensively monitored by ground-based facilities which provided important complementary observations, including the Panoramic Survey Telescope and Rapid Response System (Pan-STARRS1) at Haleakala Observatory, Hawaii, and the Dark Energy Camera (DECam) at Cerro Tololo Inter-American Observatory in Chile. The light curve of the supernova shows how its brightness changed over time. A typical supernova gets steadily brighter for almost three weeks, then gradually fades away. SN 2018oh, however, brightened very quickly right after explosion before settling into the normal progression. Because of the fast brightening, SN 2018oh was about 3 times brighter than a typical supernova a few days after explosion. “This early bump in the light curve requires an extra source of light, and the question is where does that come from,” Foley said. Dimitriadis said the team investigated three possible explanations. One possibility is that the white dwarf accretes matter from a star like our sun. This scenario could give rise to extra light (the bump in the light curve) when the shock wave from the exploding white dwarf runs into the companion star. As the supernova flows around the companion star, it creates an area of extremely hot material on the star which emits light in addition to the light from the supernova. “In that scenario, we would expect the observation of excess light to be very dependent on the viewing angle, which may explain why it has not been seen in all supernova observations,” Foley said. Another prediction of this scenario is that the excess light would be blue, because of the high shock temperatures. 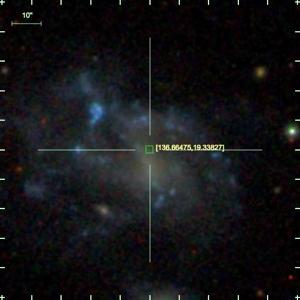 The researchers obtained critical color information for SN 2018oh from ground-based observations. “We observed blue colors at the time of the flux excess, a key clue in understanding what was causing the extra light,” Dimitriadis said. The scenario where the supernova runs into its nearby companion star should produce blue light similar to what was seen from the ground. However, the researchers did not rule out other possible explanations. The light from a supernova comes from the radioactive decay of heavy elements such as nickel–56, which tend to be in the center of the star. If nickel accumulates on the surface during the explosion, however, its radioactive decay could also generate excess light at an early stage of the supernova. It could even produce a “double detonation” in which a small explosion on the surface triggers a second explosions that consumes the entire star. Another possibility is excess light being emitted when the shock wave from the supernova heats a large shell of material just above the surface of the star. According to Foley, the color information from early ground-based images is critical to distinguishing between these different scenarios. 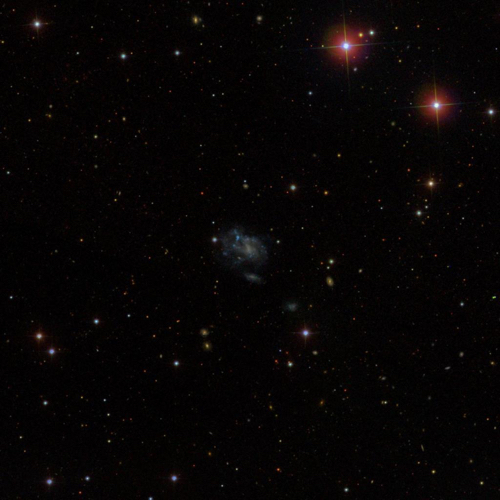 “The blue color, in particular, agrees with the scenario in which the supernova interacts with a companion star, and is harder to explain with either nickel on the surface or the heating of circumstellar material,” he said. This is significant because it favors one of the two general models for Type Ia supernovae that astrophysicists have been debating for decades. In the “single-degenerate” model, the white dwarf accretes matter from a normal companion star until it reaches a certain limit and explodes. In the “double-degenerate” model, the excess mass results from the merger of two white dwarfs. SN 2018oh is located in a spiral galaxy called UGC 4780 in the constellation Cancer at a distance of more than 170 million light years. This galaxy was included as a target for monitoring by NASA’s Kepler Space Telescope as part of the K2 Supernova Cosmology Experiment. The supernova was discovered in February 2018 by the All Sky Automated Survey for Supernovae (ASAS-SN). Early images were obtained by the Pan-STARRS1 telescope and the CTIO Mayall telescope with DECam. The coauthors of the paper include scientists from more than 50 institutions, including UC Santa Cruz, Space Science Telescope Institute, and UC Berkeley. This work was supported in part by NASA, the Gordon and Betty Moore Foundation, the Packard Foundation, the National Science Foundation, and the Heising-Simons Foundation.